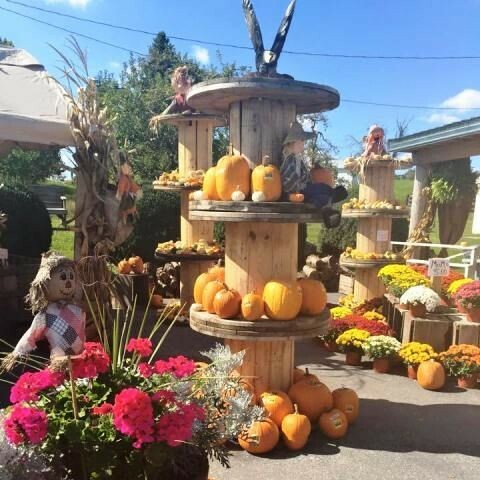 Fall starts in late September, and every year the localities throughout Virginia’s Shenandoah Valley gear up for the many travelers that come through from all over the region, nation and world. Viewing our fall foliage is such an integral part of any trip here this time of year, we’ve just put an icon next to leaf-peeping related opportunities. 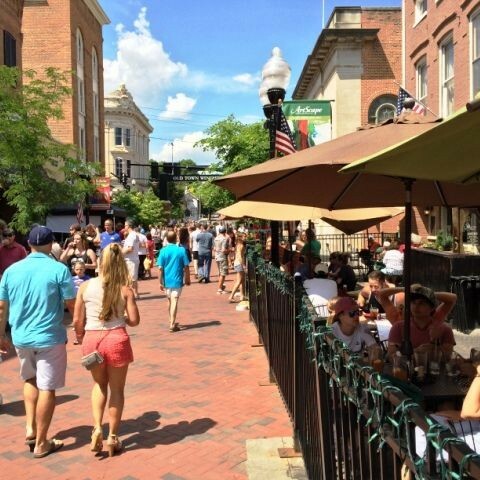 Our team has compiled a Top 10 list of Winchester area things you just can’t skip when visiting every year as the nights get cooler, the weather gets calmer, and our outdoor beauty comes into sharp focus. Get out and enjoy! This season is their bread and butter, and for good reason. You’ve got the big, ever-popular ones like Marker-Miller, Virginia Farm Market, and West Oaks Farm Market and then some really unique and fun smaller finds like Hill High Farm, the Homestead Farm at Fruit Hill Orchard, Richard’s Fruit Market, Rinker Orchards, and Shen Val Farm Market! Yes, I’m telling you to get lost (but seriously, in a friendly way) out on our local roads. We’ve got fields, orchards, rolling hills and mountains all within about 20 minutes of Old Town Winchester. Or if, like many of our fall visitors, you’re headed to the nearby Skyline Drive in the Shenandoah National Park, take a side road like 522 or 11 and enjoy the ride down and make a few discoveries along the way. Surprise, this is apple country. I know you probably already knew that, but to really grasp the scale of it you’ve got to actually get into the trees at one of those orchards. 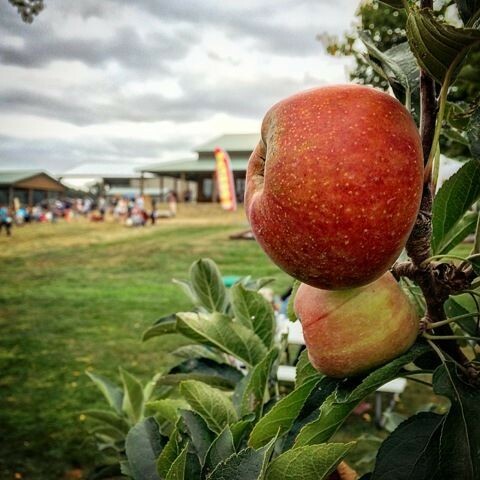 Marker-Miller and Rinker Orchards have pick-your-own operations, or just drive around the countryside and look for some “pick-your-own” signs. The Tuscarora Trail is truly a hidden gem, but may not remain so once people realize there’s alternative for Old Rag to get beautiful valley vistas. 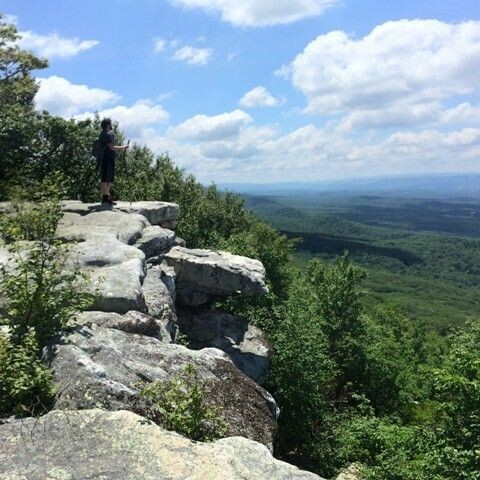 We’ll make it easy for you to get magnificent views of our fall foliage – get to Eagle Point overlook by clicking HERE and hiking about 1.75 miles northeast along the trail, or get to Pinnacle Rock (pictured) by clicking HERE and hiking less than 1 mile northwest along the access trial. Need maps, gear, or just some local expertise? Then Mountain Trails Outfitters on the Old Town Walking Mall is a necessary stop. This was our our lastest blog, but it was still a little warm when we posted it. The evenings are perfect now – check out the list, choose at least one and enjoy! Okay, we’ve got lots of options regionally for trail rides, and there’s a reason for that. 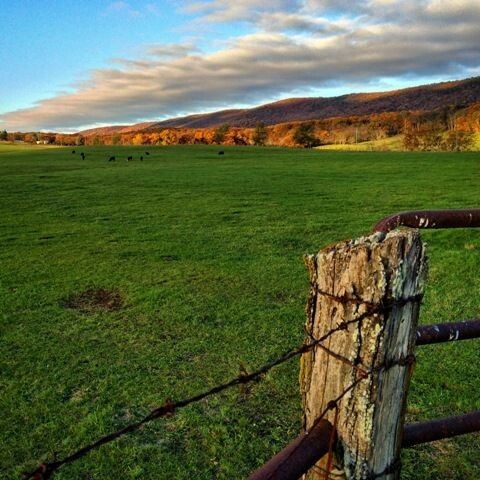 Our surrounding countryside in the Shenandoah Valley provides an incredible trail ride experience. This is a must-do for young and old alike. 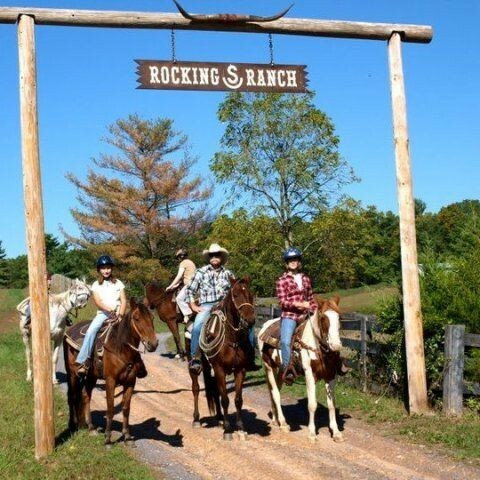 Check out our professional trail ride outfitters such as Bailey’s Walking After Midnight Farm, Magic Mountain Farm, Raynor’s Hilltop Farm, the Rocking S Ranch (the #1 rated local attraction on Winchester’s TripAdvisor page), or the Wagon Wheel Ranch. In the very recent past, you couldn’t get a pint of locally crafted beer here. Now we’ve got four different, unique and pretty awesome brewery options and an outstanding cidery. 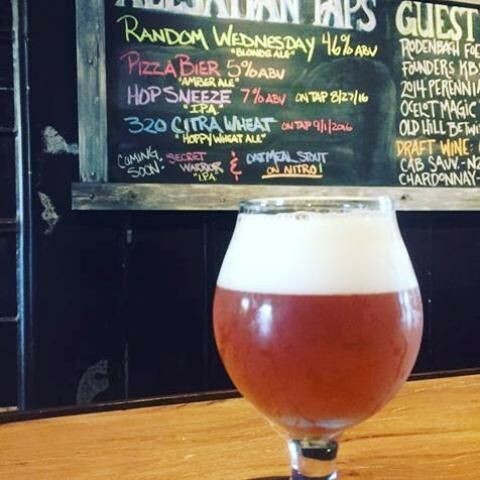 Alesation Brewing Company, Broken Window Brewing, Winchester Brew Works, Escutcheon Brewing Co. and Winchester Cider Works all have great fall offerings and on-site tastings. These are all sites along the Shenandoah Spirits Trail, which pulls together every brewery, winery, cidery and distillery in the Northern Shenandoah Valley. Want traditional non-alcoholic apple cider? You’ll find it at most local markets – Rinker’s apple cider is pretty famous. 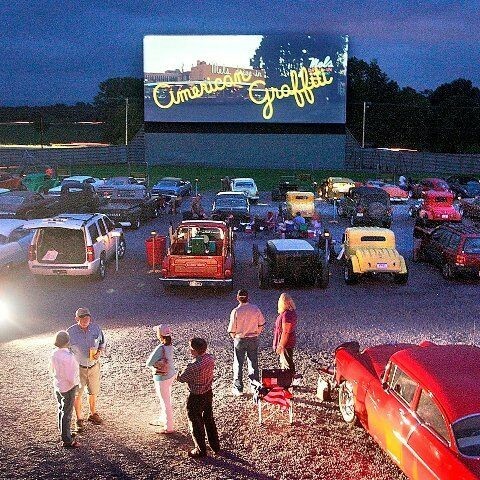 There are only seven drive-in theatres left in all of Virginia, so the Family Drive-In located just outside Stephens City is truly a special place. Owner Jim Kopp has really captured the nostalgic allure of his theatre, and boy, does this place get busy. Open throughout the fall season (not just summer!) and offering special screenings of classic films. There are still many dedicated locals here who work hard during harvest season at our farms, orchards and vineyards. To celebrate the end of harvest season, they like to blow of some steam and celebrate – fortunately, we’re all invited to many of these events! 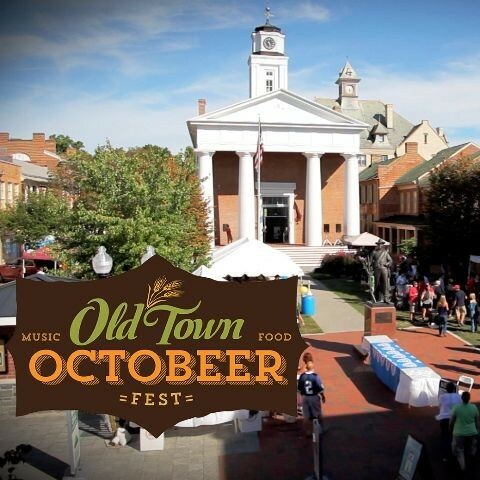 Here’s a little sampling of the annual fall events in our area: Shenandoah Valley Apple Harvest Festival, Marker-Miller and Richard’s Apple Harvest Festivals, OctoBeer Fest, Pumpkin Festival, and Winchester Brew Works Oktoberfest. 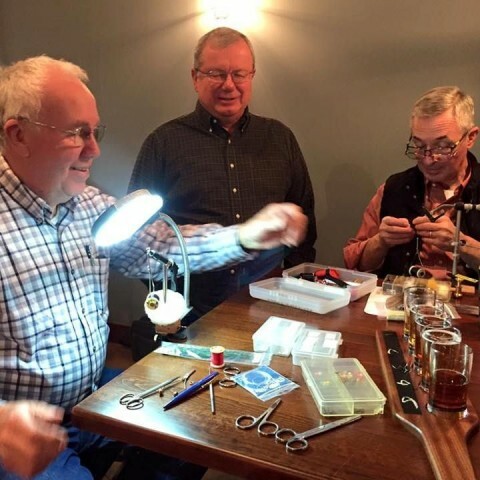 The local Winchester chapter of Trout Unlimited has regular “Bar Fly” social events that pair novice to experienced fly tying lessons with beer at local breweries, namely Escutcheon Brewing Co. The good news is, if you snag your finger, it won’t hurt as much. This is a great group to help guide visiting fisherman to the best trout spots in our area. Want to go it alone? Check out the interactive DGIF Virginia Trout Fishing map, which shows local stocked lakes & streams, cold water streams, and wild trout streams in our area. As always, no business or individual paid to be on this list – it’s just a fun collection of some top fall activities that should keep you busy for this fall, and probably next fall as well! Don’t be shy to let us know if we missed anything!.